Social Credit addresses a fundamental flaw in our economic system: the gap between a plethora of products and the lack of money in purchasers’ hands. 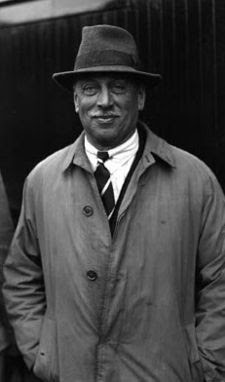 Social Credit refers to the ideas of the brilliant Anglo-Scottish engineer, Major Clifford Hugh Douglas (1879-1952). Douglas identified what is wrong with the industrial economy and also explained how to fix it. The core problem is that there is never enough money to buy what we produce. In essence, people don’t earn enough to afford the plethora of available consumer goods and services. 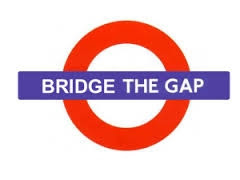 This gap is caused by many factors. Profits, including profits derived from interest on loans, is only one of them. Savings and the re-investment of savings are two others. The most important cause, however, has to do with how real capital (i.e., machines and equipment) builds up costs at a faster rate than it distributes incomes to workers. The economy must compensate for this recurring gap between prices and incomes. Since most of the money supply is created out of nothing by the banks, the present financial system fills the gap by relying on governments, firms, and consumers to borrow additional money into existence so that the level of consumer buying power can be increased. As a society, we are always mortgaging our future earnings in order to get enough purchasing power so that we can pay present prices in full. Whenever we fail to borrow enough money, the economy stalls and the government may even start a war to reboot it. To the extent that we succeed in bridging the gap, we contribute to the building-up of a mountain of debt that can never be paid off. Filling the gap with debt-money is also inflationary, wasteful, and puts the whole society on a production–consumption treadmill. It is the prime cause behind social tensions, environmental damage, and international conflict. All of this dysfunction is tolerated because the banks profit from it. Compensating for the gap transfers wealth and power from the common consumers to the owners of the financial system. Douglas proposed that instead of filling the gap with debt-money, the gap could and should be filled with debt-free money. Since the productive capacity of the modern, industrial economy is enormous, an honest representation of our productive power would allow us to enjoy an abundance of beneficial goods and services alongside increasing leisure. Our economies could become socially equitable, environmentally sustainable, and internationally concordant. Unlike some other monetary reform proposals, Social Credit does not advocate the nationalization of the banks. It is completely opposed to any scheme that would see us jump from the frying pan of a self-serving private system into the fire of a complete state monopoly over money and its issuance. The latter would be a fine basis for the introduction of a totalitarian society. Social Crediters, by contrast, stand for the decentralization of economic and political power in favour of the individual. Social Credit’s proposal for an honest monetary system is not socialist but rather anti-socialist. It is completely compatible with a free enterprise economy (incorporating free markets, private property, individual initiative, and the profit motive); cf. http://www.socred.org/blogs/view/why-social-credit-is-not-socialism. Getting an understanding of Social Credit is well worth the effort, as it may just manage to save civilization. Technological progress means machines are doing more and more of the work. Thanks to the dividend, those individuals whose labour is no longer needed by the economy would nevertheless retain an income and enjoy access to goods and services. Related: Anthony Migchels: Is Social Credit the Answer? Fascinating subject. This is the first time I have heard of this, so I really can’t make any comments, but just wondering how Social Credit would handle large infrastructure projects such as roads, rail, and dams? How would it deal with speculation? I would welcome change and the elimination of poverty worldwide. It is my hope that Social Credit or something similar and fair will replace the moribund economic system we have today. Any economic system would be preferable to the fascistic fractional reserve central banking cartel we have been cursed with for the last century. All the money in circulation today represents a loan at interest from a private bank that is paid back by impoverishing the American people at the expense of the 1%, who are only out the cost of the ink and paper to print the currency on. And once the people have been strip-mined of everything of real value to pay back this phony “national debt”, that’s when another world war gets cranked up. We are there now. Excellent article. It identifies the real problems, recommends the correct solutions, and hits all of the proper targets that need to be de-throned, de-toothed, and made to fall into their proper and smaller place in the economy. Systems were made for Man, not Man for Systems. Oliver Heydorn has made an excellent presentation of the Social Credit case in a nutshell. The central issue is who owns the credit which the banks create against the community’s real wealth. Banks perform a vital function in creating and issuing new credit as loans allowing producers to activate the real, physical, and psychological, credit or productive capacity of a nation. The problem is not that they create financial credit, as some amateur “monetary reformers” are so wont to claim. The evil of modern banking is that the banks claim the ownership of the credit which they create in monetizing the community’s wealth, and thereby appropriate the communal capital to control the accumulated Cultural Heritage of mankind. Because of the conventions of modern cost accounting, this results in a growing deficiency of consumer income relative to costs and prices. The banks are creating new buying power all the time, but as a debt owing to themselves. There is no reason why we cannot create the required additional purchasing power without leaving a trail of debt as a growing mortgage on future incomes. According to the conventions of modern accountancy, industry must recover its costs via the consumer. New “money” created as debt by the banks as at present, or by Social Credit “debt-free”, will in either case be recovered in prices and cancelled as effective purchasing power when business repays its production loan from the bank or places such funds in reserve. The real cost of production, i.e., the required human energy and materials, has been fully provided or paid when a product has been completed. There should be no need for any overall consumer financial debt whatsoever. The new Social Credit “consumption” credits would provide a growing unconditional income to all citizens and continuously falling “compensated” retail prices. Social Credit may present some intellectual challenges, but the main historical objection and impediment has been the irrational and indefensible Puritanical pseudo-morality that insists, essentially, that all incomes must be “earned”, although human “labour” input to production processes is rapidly being replaced by non-human factors, i.e., “solar” energy, automation, and artificial intelligence. The article has good logic but a major flaw in my opinion. The flaw is that it proposes a solution called social credit or debt-free money. Everyone proposes a solution that in turn is another system that must be controlled and regulated. In my opinion the solution is not another monetary system but understanding to break free from the system. This can only be done by individual effort, not by group think. When a person is conscious and is not a slave to the money banking system or any other system, then the person can easily adapt to whatever system that is in place, do his duty of work, and feed his family. I think the flaw of most good-hearted people is that they propose a system, instead of simply understanding of how the system, matrix works. What does Social Credit look like for the man in the street? If you consider that the Canadian GDP (i.e. the realized price of everything sold that year) is about $1.2 Trillion and the US GDP is about $14T and then consider that the statistics organizations of both countries report total incomes (i.e. effective demand money with which to meet the price) of $770 Billion and $8T respectively, that is a gap in purchasing power of 43%. How does this relate to us all as individuals? It is an annual per-capita shortage of purchasing power amounting to about $17,000. This means that every adult over 18 could be given a guaranteed income of $2000/month and retail goods merchants could give consumers a 20% sales credit at the cash register; all this while causing neither inflation nor deflation. How do you pay for this? You make it up out of thin air – just like bankers do! In the US Constitution, Article 1, Section 8 specifically provides for it. The not-so-subtle difference between how our economy works now and how it would work under Social Credit? There would be no interest debt tied to this new money, and thus no need for repayment of either principal or interest. This would effectively dismantle the welfare state and radically lower taxes, and this would put even more money in the pockets of consumers. It would also loosen the hold that big money holds over our political system with their lobbying and campaign contribution “bribes” that corrupts and undermines our political democracy. For those who presume that this debt-free issue of money would result in inflation, consider this. Producers need to borrow their capital costs, so the loaned money is effectively the creation of money. As production is sold, the first place producers apply this revenue is to settle the loans as they impact profitability; but the loaned money is destroyed the instant the bank receives it. Consequently, the economy becomes short-circuited by exactly this amount – principal and interest. The debt-free issue of money in the form of guaranteed-income dividends and sales-credit compensated price fills the gap caused by this short circuit. The bottom line is that this is a FUNDAMENTAL FLAW in our cost accounting systems that must be recognized and fixed. Social Credit is the easiest fix. There have been others proposed, though. Consider Nobel Laureate Professor Frederick Soddy and his National Economy proposals that also recognize this gap and offer a less equitable and effective remedy. Bill Still, who ran as Libertarian Party Presidential candidate in the last US election, is an advocate of Soddy’s method. If this – i.e. prosperity and less government control over our lives – is something you the reader would like to see happen in your lifetime, maybe it is not only in your best interests to learn more about Social Credit, but it is your duty to yourself and your family. Loans can only thrive in a fiat-financed economy for so long before the rubber meets the road – and that day of reckoning is coming soon for the world economy. The American economy is run more by debt now than anytime in its history. This is all the result of an economy functioning on debt. When debts can no longer be paid back, the economy will collapse because debt will eventually make the real money that does exist scarce, thereby producing deflation. It’s already happening right now. The real basis of personal freedom is economic autonomy. The Age of Robotics contains the potential to bring this condition to every person, and our (currently perverted) money system is ideally suited to be adapted to this end. What is commonly called “democracy” – i.e., Political Democracy, the right to cast a vote in elections – is a sham, so long as Economic Democracy – the power to command economic policy as consumers – is attenuated. In the context of the most astounding productive capacity in history, such phenomena as economic insecurity and government austerity policies are anomalies that must shock and repel any thinking individual. The Economic Ideas of C.H. Douglas – M. Oliver Heydorn, Ph.D.